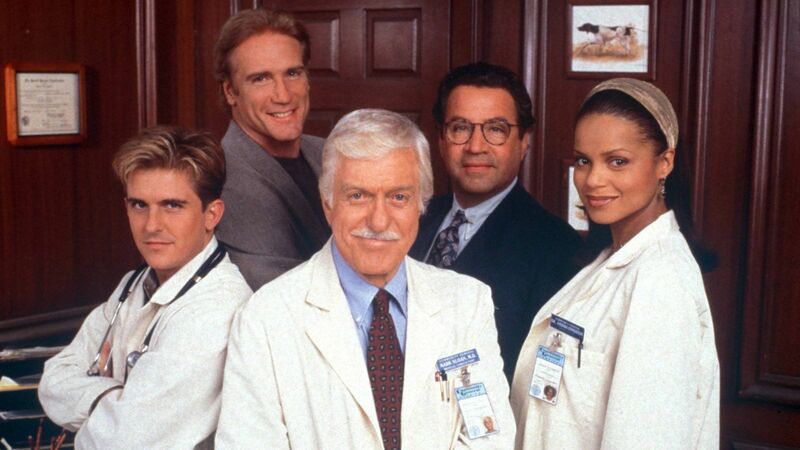 Here's where to watch every episode of Diagnosis: Murder season 6. Mouseover or tap an episode to see where to stream it. Click or tap the play icon to stream it on the best available service. Resurrection (3) Sep 24, 1998 Mark, Steve, Jesse, and Amanda are all trapped in the rubble of Community General in the aftermath of the bombing. Mark tries to shake off the numbing effects of the explosion in time to save Amanda, who's suffering from a punctured lung and broken collarbone. After the dust settles, the hunt for Caitlin Sweeney begins. It's discovered that the Sweeneys belong to a terrorist organization, R.O.A.R. Resurrection (4) Sep 24, 1998 Carter and Caitlin kidnap Mark, forcing him to mastermind a 100 million-dollar theft. On the outside, Steve and Ron collaborate to find Mark. Meanwhile, Jesse and the Sloans buy a barbecue joint. Till Death Do Us Part Oct 1, 1998 Two fiancÃ©es plot to murder the bride's father on their wedding day. The two review their perfect plan the night before the wedding. Unfortunately murder is never as easy as one might plan. Wrong Number Oct 8, 1998 Mark stumbles onto a kidnapping case when the kidnapper accidentally calls the Sloan residence with a ransom demand. Steve runs to phone booths across the city a la Dirty Harry to safely rescue the child. Blood Will Out Oct 15, 1998 The hospital is the scene of a manhunt when a corpse comes to life and attacks Amanda, then leads Steve and the police on a chase throughout the entire building during which he kidnaps Jesse's girlfriend Steve. Mark learns the fugitive is on the run from NSA agents, who claim he's an international terrorist. Alienated Oct 29, 1998 Shadowy figures haunt Jesse after he returns after being missing five days and believes aliens may have abducted him. Mark and Steve try to figure out what happened to him, while Jesse tries to stave off hallucinations, clandestine midnight meetings, and secretive government agents. Write, She Murdered Nov 5, 1998 When a best-selling mystery author comes down with writer's block, she commits a murder herself in the hopes of stimulating her creative juices. The delusional author has help from her fictional heroine, Danielle Slade. Rear Windows '98 Nov 12, 1998 Amanda enlists Jesse's computer-nerd friends to find a killer, after she accidentally surfs across an on-line murder. Meanwhile, Jesse's girlfriend, Susan, comes down with a case of food poisoning after dining at Barbecue Bob's. The Last Resort Nov 19, 1998 Steve and his abrasive, confrontational partner are confined to a therapy home for 90 days after Steve shoots and kills a fleeing suspect. Steve's partner, Reggie, believes his wife and daughter are being held hostage by his nemesis, a belief that is furthered by a series of delusional events. On the outside, Jesse and Amanda work with Tanis Archer to solve the murder of a lab technician. Murder x 4 Dec 3, 1998 Steve investigates a series of seemingly unconnected murders committed by terminally ill patients, to find the hidden thread. Dead in the Water Dec 17, 1998 Jesse's car breaks down while he and Susan are on their way to a fun-filled vacation in Carmel. The two are stranded in a small town where Susan spies a supposedly long dead beau, Greg. They eventually discover that he faked his death in order to plunder a shipwrecked vessel undetected. The townsfolk, all in on the scheme, murder Greg and pin the blame on Jesse and Susan. Trapped in Paradise Jan 7, 1999 Steve goes undercover as a doctor in a private community after several mysterious deaths occur within its confines. Steve is 'aided' by a tabloid reporter posing as his wife. Voices Carry Jan 21, 1999 Newly retired detective Harry Trumble returns to the force when it appears 'The Clown Killer', a murderer Trumble chased for more than a decade, has emerged from obscurity to kill again. Mark is reluctant to help Harry investigate the Clown, in part due to a rift between the two, but also because Mark suspects Harry has something to do with the Clown's reappearance. Murder, My Suite Jan 28, 1999 Mark, Jesse, and Amanda are trapped in a hotel when it's quarantined after a deadly virus is released. They struggle to contain the virus, while at the same time trying to locate its origin. Meanwhile, a scheming seductress carries out her plan, using the virus as a diversion to rob a nearby bank vault. Murder on the Hour Feb 4, 1999 A serial murderer strikes Community General every hour on the hour, choosing victims who've been seriously injured but 'brought back to life'. Rescue Me Feb 11, 1999 Jesse saves a woman, Chloe, in a traffic accident that claims a jealous lover forced her off the road. Jesse looks out for his patient when her ex-boyfriend threatens her. Jesse rushes to Chloe's aid when her life is threatened by her boyfriend, and inadvertently kills him. Jesse finds himself the victim of Chloe's 'fatal attraction' as she pursues him voraciously. It gradually becomes clear that Chloe was the aggressor in her previous relationship. Down Among the Dead Men Feb 18, 1999 A criminal with a death wish stalks Steve. Never Say Die Feb 25, 1999 Steve enlists troubled teenager (he sure looked older than a teenager) Tommy to work as community service at a boxing club after too many brushes with the law. Tommy tries to control his temper. Mark finds that the club's sports drink is drugged, promoting aggressive tendencies in many of the boxers. Trash TV (1) Apr 29, 1999 The Community General doctors are dragged back into the world of network television when producer Jackson Burley revamps the pilot for Dr. Danger, the television program based on Dr. Sloan. Mark and Steve investigate when Danger's competition, a masked magician who reveals the profession's secrets, is murdered, possibly as a ratings ploy. Trash TV (2) Apr 29, 1999 Mark matches wits with a murderous network executive. Blood Ties May 6, 1999 Absurdly bland episode lacks the usual Goldberg/Rabkin sizzle. Two female vice-officers uncover four corrupt female homicide cops who murder felons to harvest their organs for those more deserving. Today is the Last Day of the Rest of My Life May 13, 1999 Dr. Sloan crusades to keep a physician-assisted-suicide advocate from practicing her trade.